I saw this at a Walmart here in Kentucky while doing some toy hunting during my lunch hour. 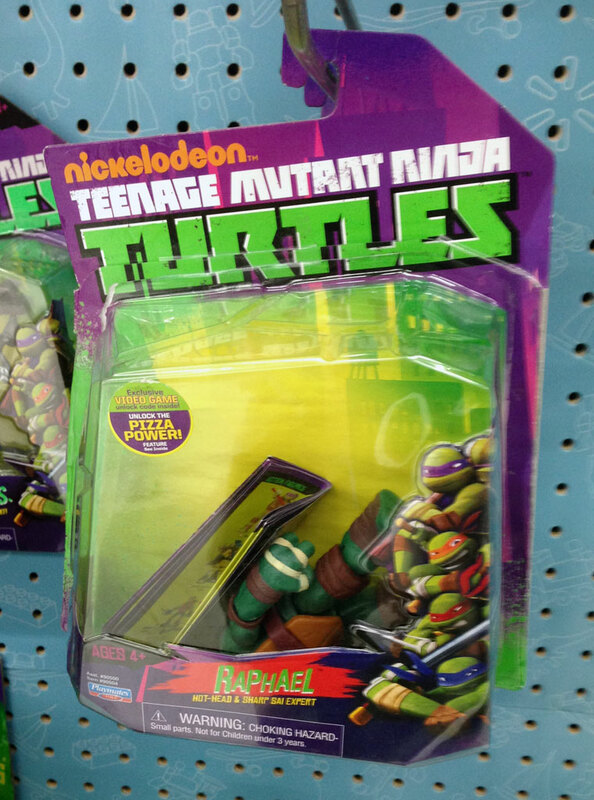 I’ve seen lots of TMNT figs ripped off the card, taped back on and put back on the pegs for sale at this particular Walmart, but this was the first I’d seen quite like this. did they just steal the plastic?!? or the weapons too?? My guess on that would be that some kid ripped the card open and played with the figure in the store, then left it, and a store employee attempted to put it back together. Seen crazier at my locals. Tried pics but couldn’t figure how to attach in my e-mail. Just did recently and deleted my troll related pics. Posted on Facebook though. Even the pink aisle has trolls here. Will be on.watch to send in any I see.